Eucharistic adoration has been a Catholic worship practice for nearly 1,000 years. Perpetual adoration, where the Eucharist is exposed 24 hours a day, is not usually done in individual parishes, but rather practiced by religious communities “and other pious associations,” according to “Holy Communion and Worship of the Eucharist Outside Mass,” No. 90. 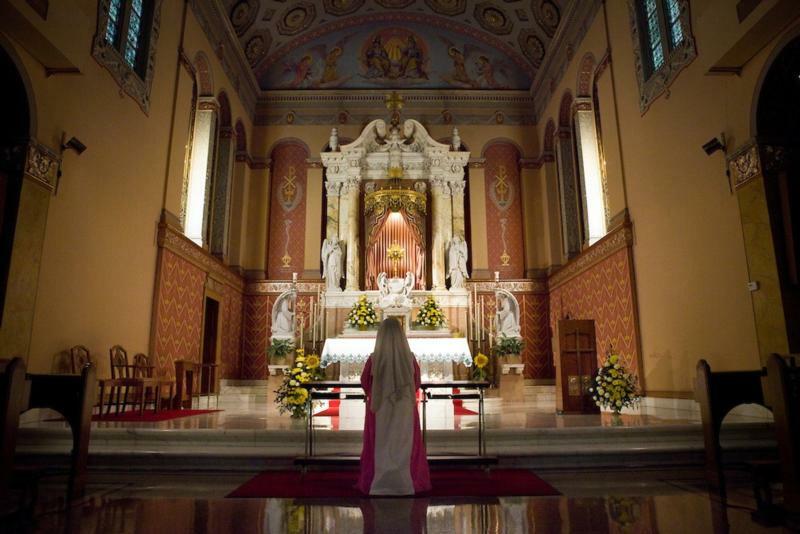 St. John Paul II hoped for perpetual adoration chapels in parishes throughout the world, and in 2006, Pope Benedict XVI instituted five places for perpetual adoration for the laity in the five sectors of the Diocese of Rome. The Real Presence Eucharistic Education and Adoration Association provides a website that directs the faithful to perpetual adoration chapels across the United States. “My religious congregation began in America in 1874, from Switzerland. Our foundress, Mother Mary Anselma Felber, found that in America, nuns and monks were asked to teach and run orphanages for immigrant populations. While doing that, she believed that the people of America most needed prayer, specifically eucharistic prayer and adoration. Adoration gained popularity in the 1980s among religious and the lay faithful. Sister Jeanette agrees with the power of quiet prayer and solitude, comparing visiting Jesus in the Eucharist to “going to the beach and getting tanned. When you are at the beach enjoying playing in the water, you do not feel that you are tanning, but what about the next day? You not only look darker, if you were not cautious, you even feel it.